Just this last weekend I have a few people ask me if they should sell their house. I had the same answer for all of them. Sell when you’re ready to sell. It really is that simple. There are many reasons though that would make you feel you are ready to sell your house. How many kids are sleeping in the walk-in closet? Have you outgrown the house and need more room? When you moved in it was just you and your spouse. The family has grown but the house has not. It’s time for you to look around for a home that fits your family size. Same goes for the house you bought when raising your kids. They have grown and moved out. Do you have three bedrooms just collecting junk and dust? It may be time to think about down sizing. Do you want a different home? Pool? Garage? A larger backyard? These may be some of the things you don’t have with your current house because you settled when you bought it or your tastes have changed over time. When you’re not happy with the amenities of your current house it is time to find the home that you would be happy with. 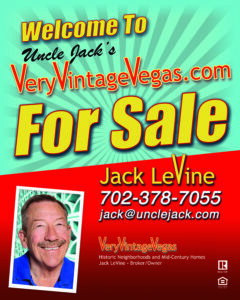 Spring, Summer and Fall are the prime selling times in the Las Vegas valley. While there has been an increase this last month in houses for sale there is still only about two months inventory currently available and much of it is over priced. When there was less inventory houses were selling in a couple of days with multiple offers. Houses are still selling in a week to ten days of they are priced right but a lot of people jumped in the market and over priced their homes hoping to find someone willing to pay a higher price due to the inventory shortage. That has now stopped. The buyers are still out there but there is enough inventory to keep them from overpaying for what they want. They now have time to see four or five homes and decide what they really want. Since the buyers are there it is a great time to sell as long as you are willing to be realistic about the value of your home. That is where an experienced agent that knows your neighborhood comes in. One that will be honest with you about the value of your home, not one that will quote you a high price just to get the listing. Equity, which is the price of the house minus the remaining debt from any loans, is the amount of money you’ll walk away from the sale with. The more equity, the better, as it can help with the real estate and legal costs involved in selling a home, not to mention helping you pay for your next home. This equity can let you move up without raising your payment or downsize and put money in the bank. 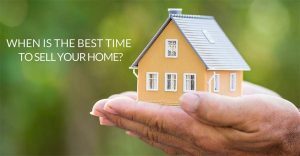 There are many online sites that can give you a Guesstimate of your home value that is not a good way to find out the real value of your home. I explained what we found using Guesstimate Websites back in July. The results were shocking. If you really want to know the true market value I’ll be happy to help you Totally FREE & No Obligation! Some asked me if it is time to sell because they think we might be in a bubble that is ready to burst. I don’t believe that is our current housing market. I blogged about that a few weeks ago. Even if that is the case, you would be buying a new home at the top of the market so what have you gained? Never sell because of market conditions. You still need a place to live. If your house is nothing more than an investment then yes, you want to get out at what you perceive to be the top of the market as long as you have a good plan on where you are going to live after you sell. Sell when you’re ready to sell. You will always need a place to live so you have to do what is best for you at the time. No one can tell you when is the best time to sell. I can also keep you up to date on the listings, sales and closings in the Vintage Neighborhoods that I have been representing since 1990 with a daily report. CLICK HERE to receive this free report.